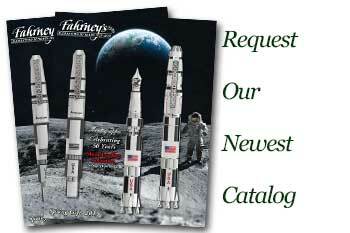 Order your Napkin Pininfarina Cambiano Ballpoint Pen Desk Set today from FahrneysPens.com. Fine Pens, Refills & Luxurious Gifts – great prices & fast shipping. You may have already heard about the Italian-made Forever inkless pens, that created a veritable revolution in writing. Due to repeated customer requests, Forever now introduces a new Pininfarina Cambiano ball pen model to complement the inkless pens and fulfill all your inky writing needs. The ball pens hold a standard refill and come in Matte Red or Matte Blue finish. All Pininfarina Cambiano pens are presented in a solid walnut case that also functions as a pen stand.